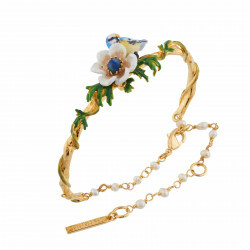 To make a gift to someone or to indulge yourself, the costume jewelry is a gem to have in your jewelry box. 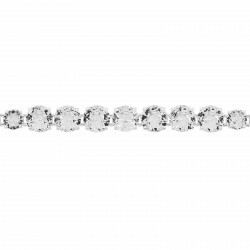 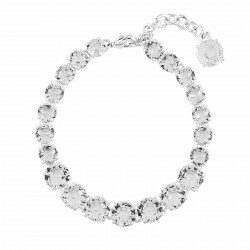 The sophistication of a bangle of the dazzling effect of a cuff bracelet will always bring attention to the wrist they wrap. 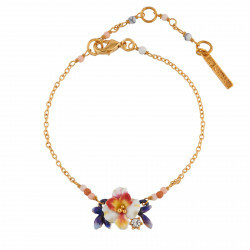 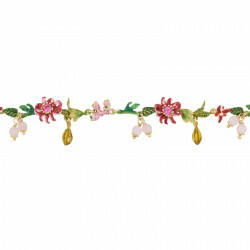 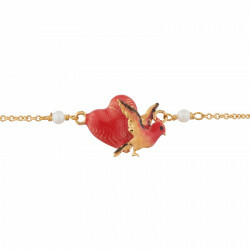 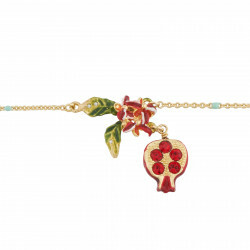 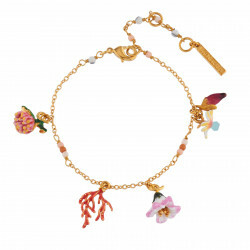 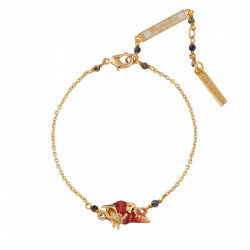 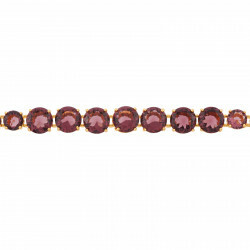 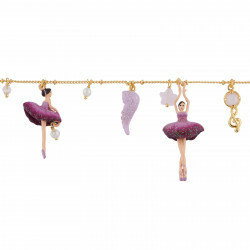 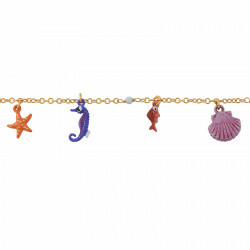 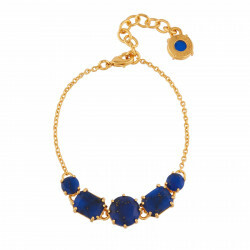 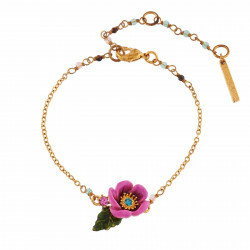 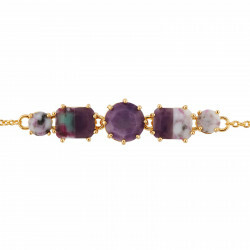 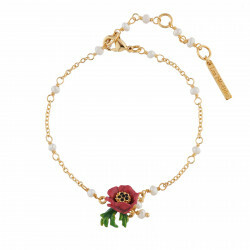 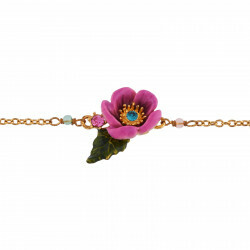 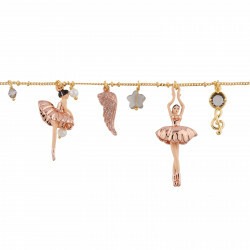 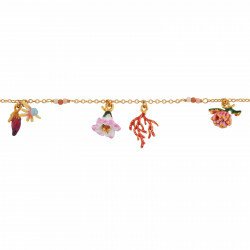 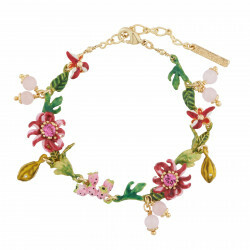 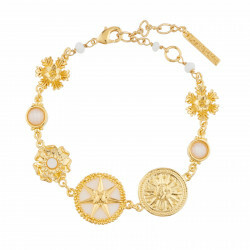 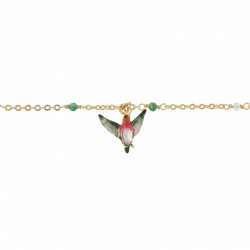 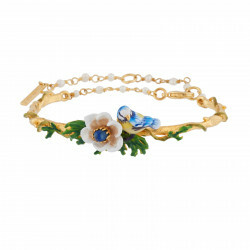 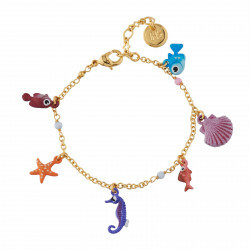 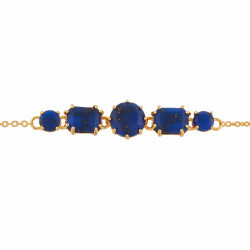 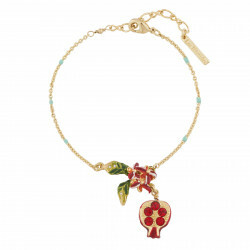 For a touch of sheer elegance your best bet is a thin bracelet, a gold bracelet adorned with enameled charms. 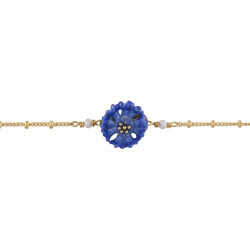 Discover the selection of bracelets of La Maison les Néréides and find the ideal gift. 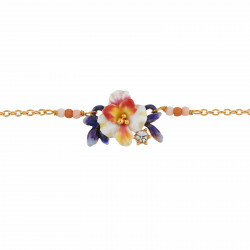 A luxuriant cuff bracelet worn with flowers invites all daring in the Symphonie des fleurs collection. 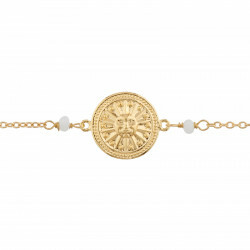 For a lucky bracelet to wear like a grigri, it's on the side of the lucky bracelets Les Néréides that you will have to watch: the constellations of the zodiac dress the charm bracelet of the last collection, while a hammered metal bracelet s adorns strong symbols on the previous one. 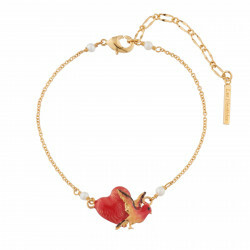 In the La Diamantine collection, a lovely cut-glass heart bracelet will dress your arms with femininity. 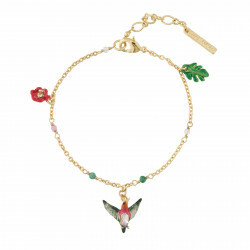 Finally, the Nature Flamboyant collection offers a resolutely fashionable touch of light with a perfect golden feather bracelet on tanned skin.